30 Forensic Engineering, Canada’s leading and fully-independent multi-disciplinary forensics firm, is pleased to announce that Derek Wong B.Sc., B.A.Sc. has joined the firm as Associate with our Collision Reconstruction Group. Derek first studied at Dalhousie University, obtaining a Bachelor of Science in 2011. After graduation, he worked in the pulp and paper industry, before deciding to return to school. Combining his lifelong passion for vehicles, and desire to understand how things work, Derek completed a Bachelor of Applied Science, Mechanical Engineering, with an Automotive Specialization at the University of Windsor in 2017. “Derek is an absolute gear-head in the best sense of the term. We have no doubt that his natural mechanical intuition and background will make him a great collision reconstructionist.” stated Mark Fabbroni, Vice President & Practice Lead, Collision Reconstruction & Trucking. 30 Forensic Engineering, Canada’s leading and fully-independent multi-disciplinary forensics firm, is pleased to announce the appointment of Heather Aitken, E.I.T., B.Sc., B.Eng. as Associate within our Collision Reconstruction Group. Heather holds a Bachelor of Engineering with a focus in Mechanical Engineering, and an Honours Bachelor of Science in Human Kinetics. In her role at 30 Forensic Engineering, Heather will analyze collisions involving different types of vehicles, including automobiles, trucks, light rail vehicles, bicycles, motorcycles, and other types of heavy machinery. Prior to starting her career in Forensic Engineering, Heather worked in transportation with a focus on the design and testing of Light Rail Vehicles. She has also worked in the aerospace and health care sectors. Heather currently serves as Director for the non-profit WTS (Women’s Transportation Seminar) Canadian Education Foundation and is active in promoting women’s advancement in Engineering fields. “Heather’s commitment to learning and ability to see the big picture will make her a success at handling the types of complex, multi-disciplinary investigations that we at 30 Forensic Engineering excel at. We know Heather will be a great resource for our valued clients going forward.” Stated Mark Fabbroni, Vice President & Practice Lead, Collision Reconstruction & Trucking. 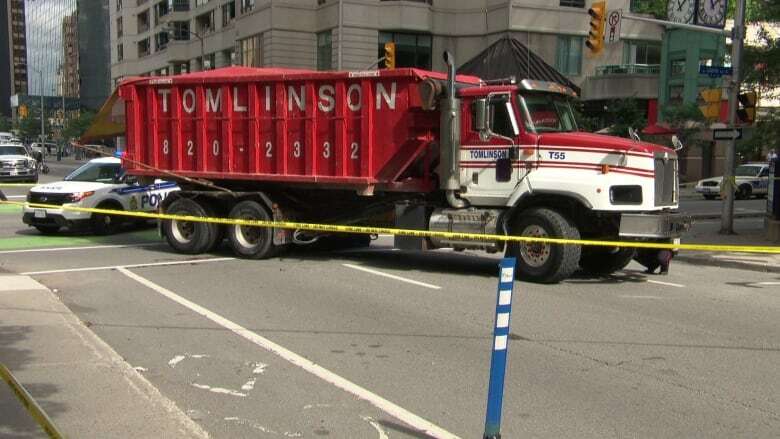 (TORONTO) — 30 Forensic Engineering, Canada’s leading and fully-independent multi-disciplinary forensics firm, is pleased to announce the appointment of Brad Muir as a Consultant within the Collision Reconstruction division. Having been one of the longest-serving and most senior collision reconstructionists within the Ontario Provincial Police (OPP), Brad brings over two decades of experience to the firm, along with internationally-recognized expertise as a thought leader in crash data (‘black box’) retrieval, analysis, and interpretation for both passenger and commercial vehicles. Brad has assisted on or led more than 1000 serious personal injury and fatal motor vehicle collision investigations, brings extensive experience conducting full-scale crash testing, and has been qualified as an expert in his field in Ontario Courts. 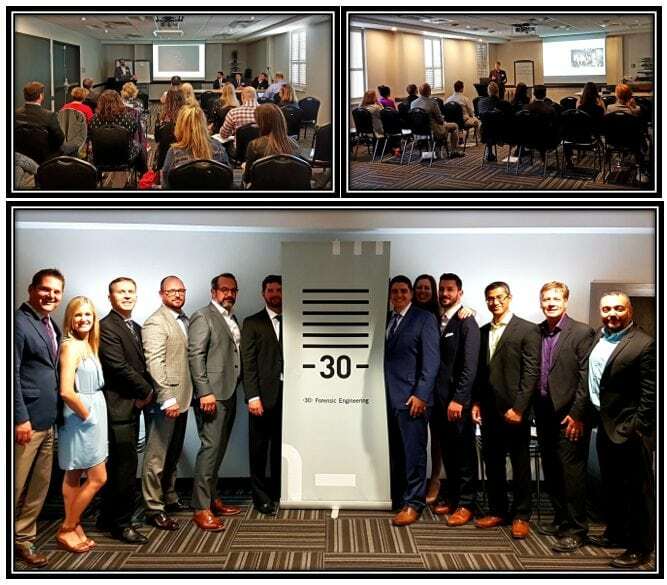 “30 is excited to have someone of Brad’s caliber and experience and commitment to traffic safety onboard—he is a welcome addition to our growing firm,” stated Jamie Catania, Vice President, Forensic Consulting of 30 Forensic Engineering. 30 Welcomes Marina Momcilovic to the Collision Reconstruction Team! 30 is excited to announce Marina Momcilovic as the newest addition to the Collision Reconstruction Team! Marina will be supporting Collision Reconstruction on a maternity contract for the next 12 months. Marina hails from Serbia and attended York University where she obtained a double major degree in Psychology and Sociology. Previously, Marina was an Assistant Manager at various retail stores and brings valuable experience in areas of client relations and customer service. In her spare time, Marina loves to stay active working out and is also an avid biker (as are many other 30’ers!). Welcome to the team, Marina! 30 Welcomes Nishan Perera to the Collision Reconstruction Group! 30 is excited to annouce our newest member of the Collision Reconstruction team, Nishan Perera! Nishan joins us from SkyJack Inc. where he spent the last few years as a Senior Product Safety Engineer responsible for investigating incidents involving SkyJack equipment as well as working with safety regulations for their products. Prior to working at SkyJack Inc., Nishan spent time with Hitachi Construction Truck Manufacturing as a Designer and Analyst. A graduate from the Mechanical Engineering (Automotive option) at the University of Windsor, Nishan has already obtained his P.Eng and has shown a true passion for the forensic engineering field by taking Crash Investigation courses through Northwestern University. Nishan brings a deep knowledge and passion for automobiles, and is often working on his vehicles in some capacity or another. In addition to working on them, he also enjoys finding out has fast he can make those vehicles go around a course. With all these things combined we feel that he will be a fantastic addition to the team, and we are excited to welcome him on board. Welcome to the team, Nishan! Giffin Koerth was proud to be a sponsor of last night’s Advocates Society event featuring Dean Strang, one of Steven Avery’s trial lawyers featured in the Netflix documentary “Making a Murderer”. It was an incredible event with all proceeds going to War Child; a non-profit organization that is helping mothers and families around the world give their children a safe start in life and give their communities the best chance of a peaceful future. Thank you to the Advocates Society for organizing such a great event! GK’s Collision Reconstruction Group Welcomes Harrison Griffiths! Giffin Koerth’s Collison Reconstruction Group is happy to welcome Harrison Griffiths as their newest Associate! Prior to joining GK, Harrison spent the last 3+ years working for Kenaidan Construction on various projects across the GTA (including the Ashbridges Bay Wastewater Treatment Plant upgrade and the West Richmond Hill Pumping Station) in the role of Mechanical/Electrical Coordinator, as well as Commissioning Agent. In addition to his interest in rock climbing, Harrison competes in a number of different sports such as softball! Harrison is a graduate of Queen’s University where he completed his degree in Mechanical Engineering.